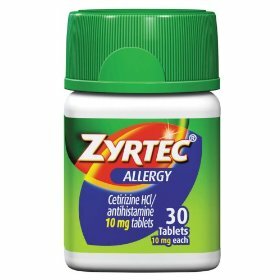 The most commonly reported Zyrtec side effects include mild drowsiness, headache, sore throat and dry mouth. More serious side effects are heart palpitations, insomnia, tremors, confusion and decreases in urine production. Zyrtec (Cetirizine) is very well tolerated by most people and has very low incidences of adverse effects. All of these side effects are completely manageable, and people suffering from more bothersome side effects are often urged to decrease their dosage to the 5mg level for relief. These side effects often decrease on their own over time, especially when Zyrtec is prescribed for the long-term treatment of chronic hives or hay fever. Studies have shown that the body is capable of becoming accustomed to the drug in the system and side effects will dissipate over the course of a few weeks. Any side effects should be reported to a physician if they persist or become severe, however. Side effects are reversible if treated quickly by qualified medical professionals, but their incidence is very low when compared to other prescription and over-the-counter medications. The FDA has found that Zyrtec (cetirizine) is safe and effective when used in children of all ages. Children under six years of age receive a dose that is adjusted based upon their weight and known health conditions. Zyrtec is often used as an alternative to other over-the-counter cold medications because the risks of side effects are much lower than those of ingredients found in other medications. Over-the-counter Zyrtec is approved for use in children ages two and up, but pediatricians may choose to prescribe Zyrtec to infants and toddlers in certain situations. Always follow the dosage instructions exactly in these cases in order to reduce the incidence of serious side effects in children. Chronic hives—also known as urticaria—is a condition that results in very itchy and sometimes painful whelps on one or more areas of the body. The cause of chronic urticaria is often unknown, but clinical studies have shown that these hives are a response to increased levels of histamine in certain tissues. Since Zyrtec and cetirizine have been shown to decrease the effects histamine has on the body, these medications are often recommended as a long-term course of treatment to prevent and reduce the severity of chronic hives. Patients and their doctors should still monitor for the same side effects that occur in other treatments with the medication. Zyrtec is a wonderful alternative to other allergy medications that are known to cause significant drowsiness in both children and adults. The low risk of major cetirizine side effects makes Zyrtec a highly preferred medication by parents and adults, and doctors are prescribing Zyrtec more often than ever before.